Shozy is a Hong Kong-based portable audio brand that produces various gears, starting from earbuds and IEMs to amps and DAPs. As they’ve been building up a good reputation and skills on their own, they recently started to join hands with AAW by creating collaboration projects. The first product was the Shozy x AAW Hibiki, marking the below $100 IEMs. It featured great sound and impressive aesthetics for an affordable price. Their second project was to create a great flagship IEM for a reasonable price, which in result came down to the Pola. Let’s take a look at its features, sound signature, and worthiness. Pola houses a large 13mm graphene dynamic driver and two Sonion electrostatic drivers per unit. The trend for the portable audio market has now shifted to electrostatic drivers and both Shozy and AAW have joined this trend but with a better price. It’s a 2-Way dual bore design, made with resin shells and metal nozzles. 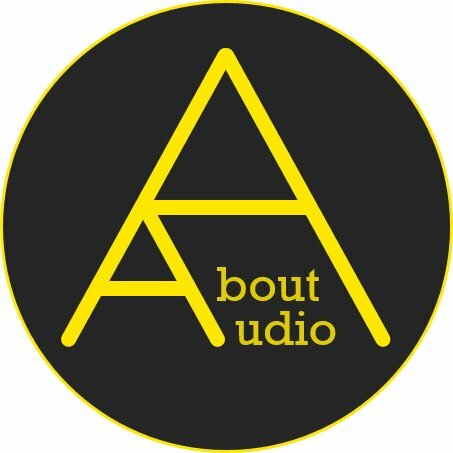 These guys seem like they’ve put much attention on the cable as well, including a quality copper cable made by Null Audio. Not only these achieve the proper performance from Pola, but it also matches well in terms of sound signature. Along with that, Pola is quite sensitive to cable variations and shows distinctive goods and bads in cable matching, so there’s going to be a good chance for Pola’s stock cable to work better than more expensive cables. Silver type cables may cause the lower end to sound a bit hollow, so I’d rather recommend copper types – unless you know a silver cable that achieves decent bass. Pola’s sound signature reminds me of a loudspeaker system. The overall sound seems to be distant to the ears but forms a comfortable, large headroom. Pola keeps the overall sound rather flat and calm, however without sacrificing the quantity and body from the sound. The bass feels smooth and has a gentle punch to it. The quantity is pretty plentiful, however, Pola definitely aims for the opposite characteristics compared to Campfire Audio Atlas or IMR R1 which are known to have an aggressive bass. I’d say the bass from Pola has been ironed out to feel rather flatter and wider, eliminating the bloated surface from the lower frequencies. This makes it possible for keeping the bass neat yet thick in existence. It also increases the headroom size as well. The bass dives deep with good resolution on the ultra lows, but with controlled quantity to respects the overall balance. The mids stand near the bass. It’s seamlessly fused with the bass while keeping the vocals cleanly presented. Many IEMs nowadays make the mids bulged out from other frequencies, though that ain’t the case here. Again, Pola keeps the surface level evenly as possible – an “emo flat” sound signature I’d say. Slightly meaty mids make the vocals rich yet balanced, making it ideal for both male and female vocals. There is barely any turbulence throughout the mid-frequency with fantastically controlled sibilance. Textures from the mids feel very smooth, and the thin strands of sparkles coming from the ES driver add a bit of sparkle and crispiness, avoiding the vocals to sound too plain. Mids on Pola have a natural, fatigue-free characteristic with a touch of fun that comes from the ES drivers. Electrostatic drivers take charge of the treble frequency, just as a tweeter does from a speaker system. One of the most vivid characteristics from electrostatic drivers would be its extremely refined texture. The treble here feels like multiple strands of thin silk have been layered on top of each other, achieving clear resolution and refinement. As mentioned before, Pola aims for this “emo flat” sound signature and keeps its distance from getting overpowering than other frequencies. Though it takes a slight step forward from the mids, providing the silky, high-resolution pleasures. Electrostatic drivers also show strong merits when it comes to separation and imaging. It’s precise, distinctive, and natural. As electrostatic (ES) drivers start to kick into the IEM market and manufacturers join the trend, Shozy Pola suggests another path of tuning electrostatic IEMs. I’ve tried the Jomo Trinity which goes for a very rich and vibrant sound signature, definitely leaving me impressed and meeting the current trend of sound. Shozy Pola, on the other hand, decides to pursue the classic style of sound signature. The characteristics remind me of the Custom Arts Harmony 8.2, though Pola uses electrostatic drivers as a touch of savor and prevents the sound from getting too old-school. Not only Pola is a hybrid of two different drivers, but it also nailed on making a hybrid of two different style of sound – the classical and the modern. If you’re a prior/current speaker user or simply into this type of signature, Pola should be a great choice. I am not affiliated with Shozy/AAW and none of my words were modded or asked to be changed.